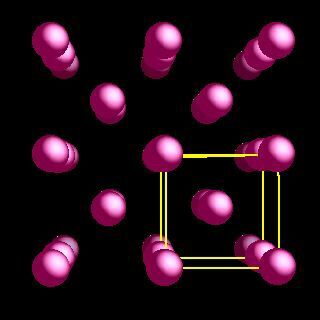 Rubidium crystal structure image (ball and stick style). 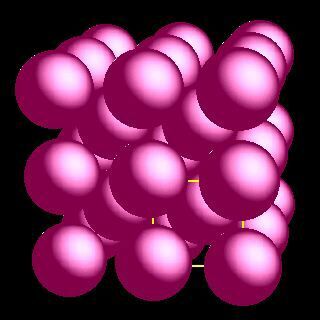 Rubidium crystal structure image (space filling style). The closest Rb-Rb separation is 494 nm implying a rubidium metallic radius of 247 nm. C. S. Barrett, Acta Crystallogr., 1956, 9, 671.